God is Moving on the Border! 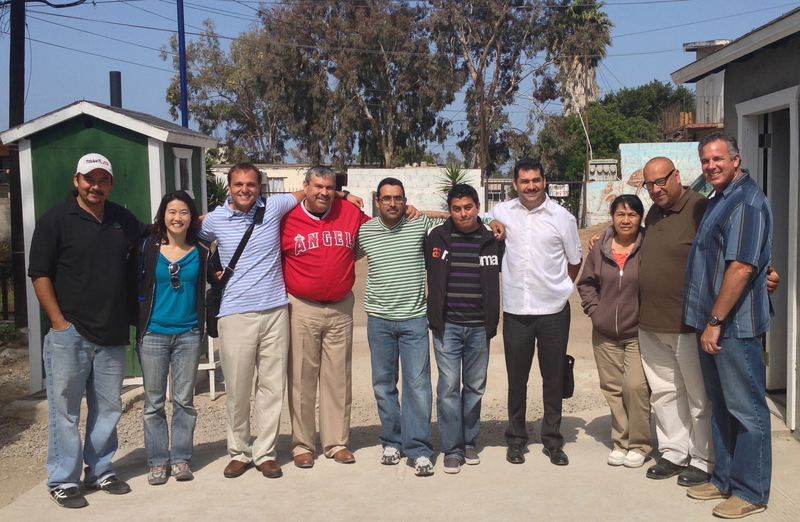 The pastors from Lo Mejor del Trigo that we met with last week. I give thanks for the leaders the Lord has given me to work with on both sides of the border. Last week I was able to meet with a number of them. Such choice servants of the Lord! We visited the two churches that Harbor helped plant among some of the other churches. Cesar one of the younger pastors has just taken over a church that has gone through a lot of turmoil. The church had shrunk and was down to about three families. Since Cesar took the church over just in the last month they’ve had 100 people attend the church. I asked Cesar what they were doing to reach the people. He said the main thing they were doing was praying. God is hearing their plea. These ministries are loving on the people in the community. Many of them are feeding the poor. Periodically they set up a medical clinic to help those that can’t afford to go to a doctor. It’s so good to see the Lord at work. God is working through these churches as they share the love of Christ in their community. Our prayer is that they will continue to grow and to be a blessing in Tijuana. I praise the Lord for his faithfulness to these churches, and those who serve in them. They are blessing their communities in some practical ways. One of the questions we are asking is how can we come alongside of them, and be of encouragement to them. Join in prayer as we ask the Lord to open the hearts of the people as the gospel goes out into the communities surrounding the church.